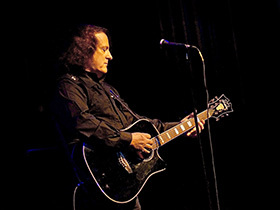 Up Close Concerts welcomes to Branson for the first time Tommy James & The Shondells. This show is going to be loaded with all of their incredible hits including "Mony Mony," "Hanky Panky," "I Think We're Alone Now," "Crystal Blue Persuasion," "Draggin' The Line," "Crimson and Clover," "Sweet Cherry Wine," and "Three Times in Love." These are just a few of the many hits from Tommy James...23 gold records, 9 platinum albums and over 100 million records sold worldwide...in addition to his 32 BILLBOARD Hot 100 charting hits, many have been covered by artists around the world including BRUCE SPRINGSTEEN, PRINCE, REM, JOAN JETT, BILLY IDOL, DOLLY PARTON, CARLOS SANTANA and even THE BOSTON POPS....his music is heard in 31 motion pictures to date, numerous TV SHOWS such as BREAKING BAD, CRIMINAL MINDS, THE SIMPSONS, THE GOLDBERGS and AQUARIUS...also many TV COMMERCIALS. TOMMY'S critically acclaimed autobiography, ME, THE MOB AND THE MUSIC was listed on ROLLING STONE'S BEST MUSIC MEMOIRS and is now in development for a film with producer BARBARA DE FINA, whose credits include GOODFELLAS, CASINO, CAPE FEAR, THE COLOR OF MONEY and just released SILENCE....MATTHEW STONE has just finished the screenplay, his credits include INTOLERABLE CRUELTY, MAN OF THE HOUSE and BIG TROUBLE. BMI recently lauded TOMMY for his success with the presentation of FIVE MILLION AIR AWARDS for his music being played more than 21 million times on air. In 2015 TOMMY performed his hit CRIMSON & CLOVER with JOAN JETT, DAVE GROHL and MILEY CYRUS at THE ROCK AND ROLL HALL OF FAME AWARDS TV SHOW...3 generations of artist performing his music. A career spanning almost 50 years and his music is still relevant! 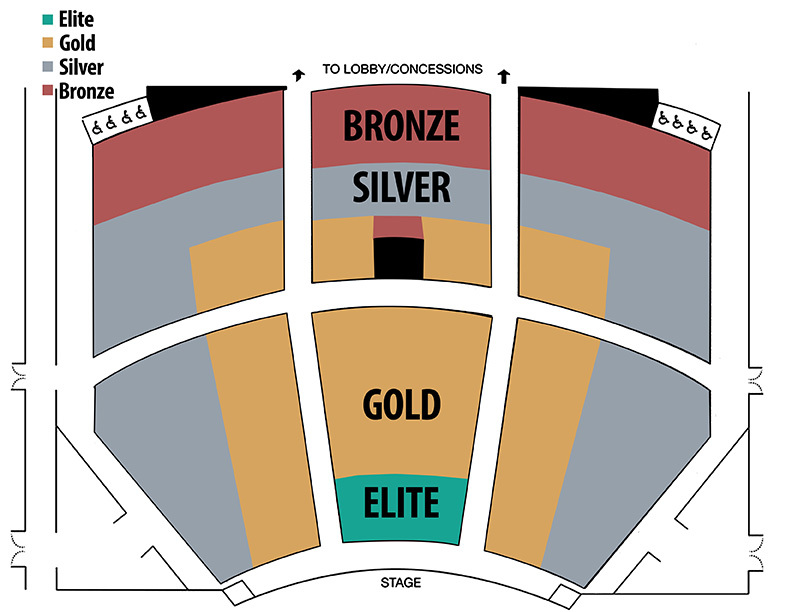 Please take a look at the Welk Resorts Theatre seating chart.